Agricultural meteorologists strive to understand the transfer of energy (via radiation, conduction, or convection), as well as the associated movement of mass (e.g., water and carbon), within the soil–plant–atmosphere continuum with an emphasis on how the atmosphere influences, and is influenced by, crops. 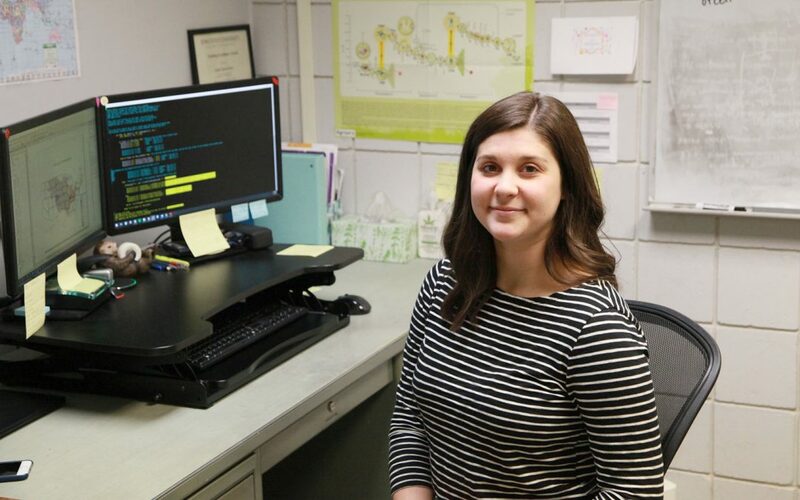 When Kelsie Ferin sits down to code, she has a million square miles of soil, water, and sky at her fingertips: from Iowa’s Corn Belt to the Mississippi River, and all the way to the Gulf of Mexico. These iconic landscapes form the backdrop for Ferin’s research on how bioenergy crops can help purify the nation’s water. Outside of Walnut Grove, Minnesota, a contributing author to a Nobel Peace Prize winning project was born in a farm house with no electricity or indoor plumbing. Eugene (Gene) Takle always intended to go back to the farm, but the young man who opted for agriculture classes and never took biology wound up getting his Ph.D. in physics. Following Sputnik and the space race of the late 50s, the United States focused on science education for youth. It was an English teacher who set Takle on a scientific path.